The INFINITI QX80 was named the 2018 Best in Class in the Full-Size SUV category by the New England Motor Press Association (NEMPA). The INFINITI QX80 was selected for its premium interior finishes, comfortable seating, powerful 5.6-liter V8 engine and a suite of technology and safety features to enhance the driver experience. Vehicles selected by NEMPA as “Best for Winter Driving in New England” are those that offer a combination of winter-specific features and options plus the dynamic qualities that make for safe, enjoyable and competent all-weather driving. INFINITI received the award during the Annual Awards Dinner on May 30, following the NEMPA MIT Technology Conference at the MIT Media Lab in Cambridge, Massachusetts. 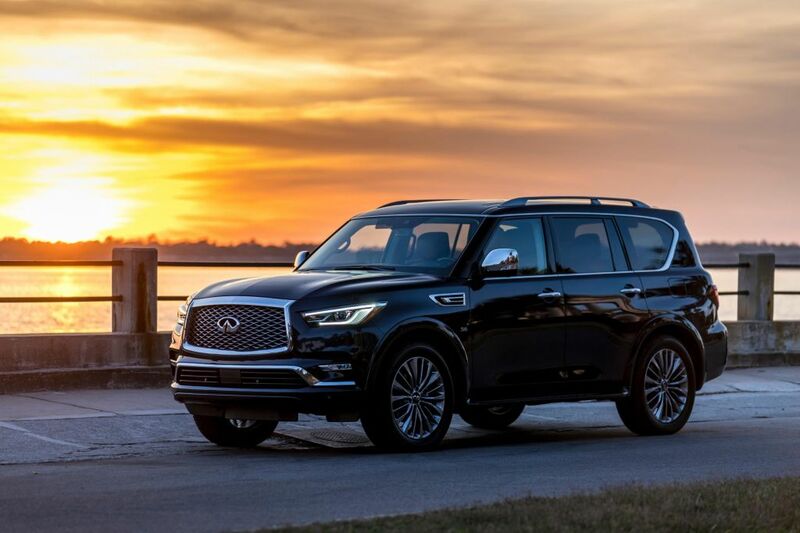 The new 2018 INFINITI QX80 further advances INFINITI’s market presence in the full-size luxury SUV segment and takes the brand’s “Powerful Elegance” design language in a bold new direction, creating a powerful, contemporary and commanding aesthetic. Designed to provide a sense of inclusive luxury for drivers and passengers alike, INFINITI’s flagship SUV boasts a refined and spacious cabin that features high-quality materials, a hand-crafted finish and advanced drive-assist technologies. With taut, yet comfort-oriented suspension and available Hydraulic Body Motion Control technology that limits excess body-roll under more severe cornering, the new QX80 gives drivers an assured feeling of control and confidence at the wheel. The QX80 is also available with a range of technologies to inform the driver of their surroundings, helping them avoid potential hazards and ease the monotony of driving in certain conditions. These technologies include: Lane Departure Warning and Prevention, Intelligent Cruise Control, Distance Control Assist, Predictive Forward Collision Warning, Forward Emergency Braking, Blind Spot Warning, Blind Spot Intervention and Backup Collision Intervention.